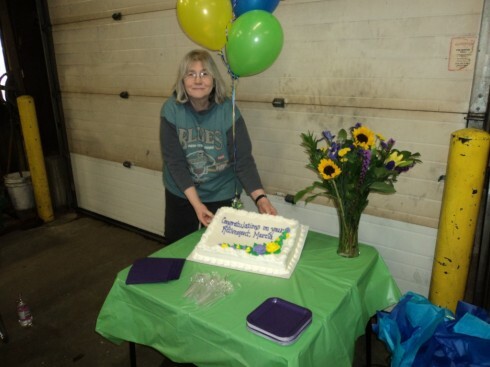 Marcia Retires from Northwest Metal Products After 16 Years! CONGRATULATIONS, MARCIA! THANKS FOR 16 YEARS OF SERVICE! 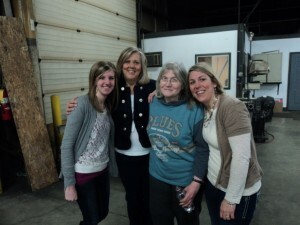 Marcia was our dedicated employee who managed our shipping department for 16 years. She just retired and worked her last day on March 28, 2014. Thanks, Marcia, for all your years of hard work and dedication to Northwest Metal Products!! Staci, Lynda, Marcia & Kari letting Marcia know she will be missed.